Ciara's first degree, a BSc (Hons) in Microbiology is from University College Dublin (where she also captained the ladies rugby team). 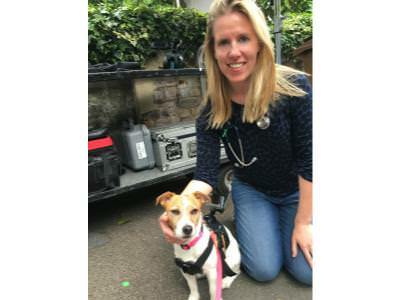 After obtaining her veterinary degree from the University of Pretoria (where she was voted Sports Woman of the Year) Ciara has worked primarily in veterinary clinics in and around London but also at Imperial College London. With her soft Irish lilt you may confuse her on the telephone with Ashley or Rebecca and on the rugby pitch she may be small but mean but here at the clinic Ciara's most appreciated attributes are her skills as a refined and elegant diagnostician.